How does God love us? And how do we know God loves us? How do you know God loves you? Ezekiel 16:1-14 He loves us so much he has saved us, washed us, cleaned us, dressed and clothed us, adorned us with fine jewellry, entered into a covenant with us, protected us, gave us the very best, fed us the very best, crowned us. The scriptures are clear in showing us that God loves us. But I sometimes wonder if we maybe miss the overwhelming depth of that love. One of the ways that God has tried to explain his love for us is by using marriage as an allegory for his relationship with us. Why would he use marriage to illustrate his love for us? What is a betrothal? Unlike a modern day engagement, a betrothal was as holy and sacred as the final marriage vows. It was a commitment to one another. Do we as latter-day saints enter into betrothal agreements? and witness unto thee, O God, the Eternal Father, that they are willing to take upon them the name of thy Son. 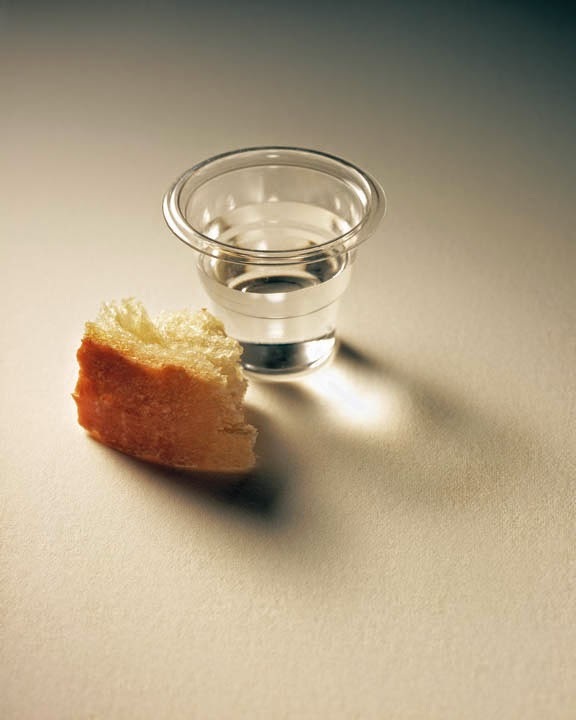 We take the bread as a reminder to us and a witness to others of the covenants we made at baptism to be willing to take upon us the name of Christ. Taking the bread (symbolic of his body) represents he and us becoming one spiritually. When we take the water it represents his blood and is symbolic of us remembering and accepting his dowry that pays for us - the Atonement. Every Sunday we are renewing our betrothal covenant with the Lord. We promised to become one with Him and our weekly sacrament is our reminder of that covenant and promise. How grateful he must be when he sees us renew that covenant each week. It is obvious that the Lord takes marriage and betrothal and these covenants very seriously, that they have great depth of meaning to Him. It is clear he considers this a topic of great sanctity and sacredness. Which makes this next scripture all the more shocking in comparison. Read Hosea 1:2, 3-4, 6, 8-9 WOW! I didn't see that one coming. What could possibly have happened that makes God want to order his prophet to marry a harlot and to curse the children of that marriage and to declare "for ye are not my people and I will not be yours"? Several Old Testament prophets lives were used as similitudes or "object lessons" for the children of Israel and indeed, for us also. For example, Abraham was commanded to offer his son Isaac. Moses delivered his people. Jonah's experience in the belly of the great fish reflected the Lord's period of time in the Spirit World. The period of growth of Isaiah's son was used as a direct illustration of the time period Israel had left before Assyria would attack Damascus (Isa. 8). One of the most dramatic examples of such an object lesson was Ezekiel. Ezekiel was asked to create a model of the city of Jerusalem being besieged by an invading army complete with a little miniature battering ram to represent the prophesied invasion to come! He was then told to lay down (with bare arms) by this model in public on his left side for 390 days, representing the number of years that the Northern Kingdom had been wicked. Next, he was to lay down (with bare arms) by the model on his right side for 40 days, representing the number of years that the Southern Kingdom of Judah had been wicked. He was also given specific things to eat and very specific cooking instructions. He was supposed to make bread from a mixture of grains and beans and lentils, but he was to bake it on a fire made of dried human excrement. For some reason, Ezekiel didn't like that idea too well and protested to the Lord. The Lord was merciful and allowed Ezekiel to cook his bread with dried cow chips instead of human ones! What was the Lord's point? The Israelites must have been horrified to see a prophet eating bread cooked over cow chips! The Lord needed to shock them just to get their attention because they had ceased to listen through the normal channels. The point was to show the people exactly how disgusting and gross their behaviour was to the Lord and how unclean they had become - the whole reason they would soon be invaded and over-run. What an object lesson! Similarly, Hosea's marriage was to serve as an object lesson. So what was that object lesson with Hosea? Hosea's marriage to the unfaithful Gomer symbolized God's covenants with Israel. The children - Jezreel (God scatters), Lo-ruhama (Not having obtained mercy) and Lo-ammi (Not my people) were the fruits of that unfaithful union. Clearly he's telling the people they have been unfaithful and the fruits of their infidelity to him would be that they would be scattered without mercy and would no longer be His people. What infidelity were the children of Israel guilty of? How can we avoid these temptations today? When the Lord likens this to marriage what is he suggesting is the key to avoiding temptation? (What is the first and great commandment?) LOVE the Lord they God with all thy heart, might mind and strength. How do you think the Husband feels? Now compare Hosea 2:1-13 with Hosea 2:14-23. Even though the wife had been unfaithful, the husband still loved her and wanted her back. In today's society that is often seen as weakness. Why would the husband take the unfaithful wife back? What does the Lord promise if his unfaithful wife returns? see also Hosea 2:19-20, 23.
v.14-15 The Valley of Achor is a valley north of the Jezreel Valley. It is the route out of the wilderness into the heart of the land. The word Achor means "trouble." So the husband will use the route of trouble to bring Israel back to him, as the Lord often uses trials as a means of encouraging us to return to or to strengthen our relationship with him. V. 23 is very reminiscent of a renewed marriage vow. Why is this promise important and what does it teach us about God's love? In Hosea 3 the husband is instructed to purchase his wife. Her value at this time is the lowest of all values - that of a slave. This might not seem very romantic, it may appear in this time and age to objectify the woman and treat her as nothing more than a piece of property. However this was the law and the culture. And more importantly this man was willing to pay the price literally. Is there any doubt his love for her? When we understand how this purchase symbolizes our own ransom paid by the Saviour, can you see the depth of mercy and love exhibited? Can you feel the redeeming love? "This was a love story. This was a story of a marriage covenant bound by love, by steadfast love...The Lord, with whom I am blessed to have made covenants, loves me and you...with a steadfastness about which I continually marvel and which I want, with all my heart, to emulate"
I know that God loves us. I know that his arms of mercy extend far beyond my faults and my understanding. Like Elder Eyring I wish to and I strive to emulate the love He shows us. It simply stuns me and humbles me and fills my heart with gratitude that despite all of my weaknesses and all of my mistakes he still loves me and still wants me back. For those that feel this love does not extend to them please know that it does.